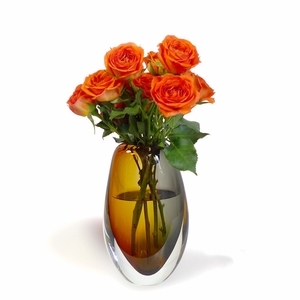 This Czech glass vase has a simple, classic shape. 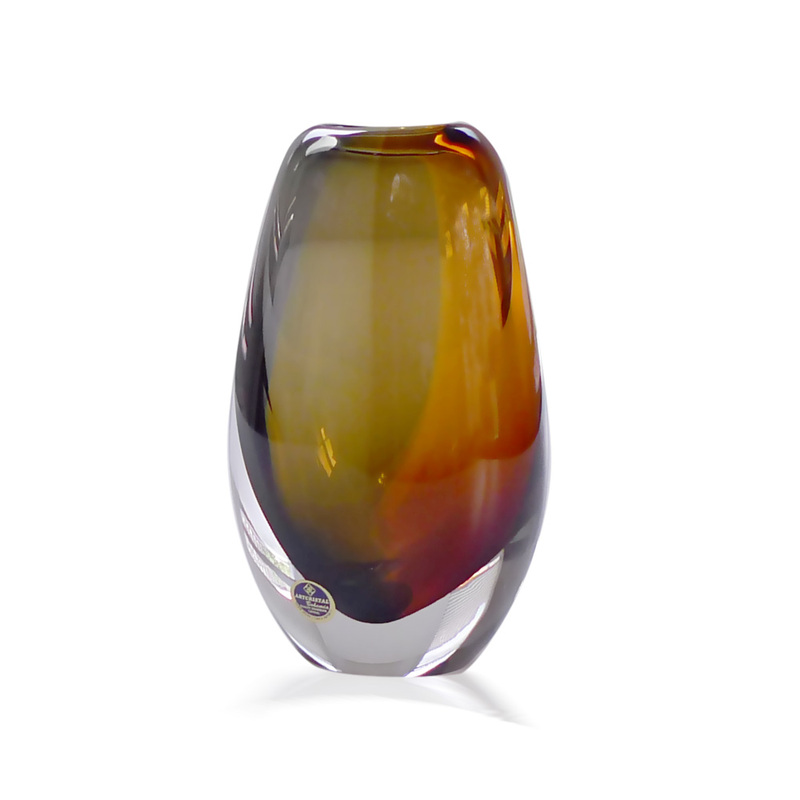 The coloring is amber and grey within the transparent glass. Just add flowers! This vase is 6" high and 4" wide.